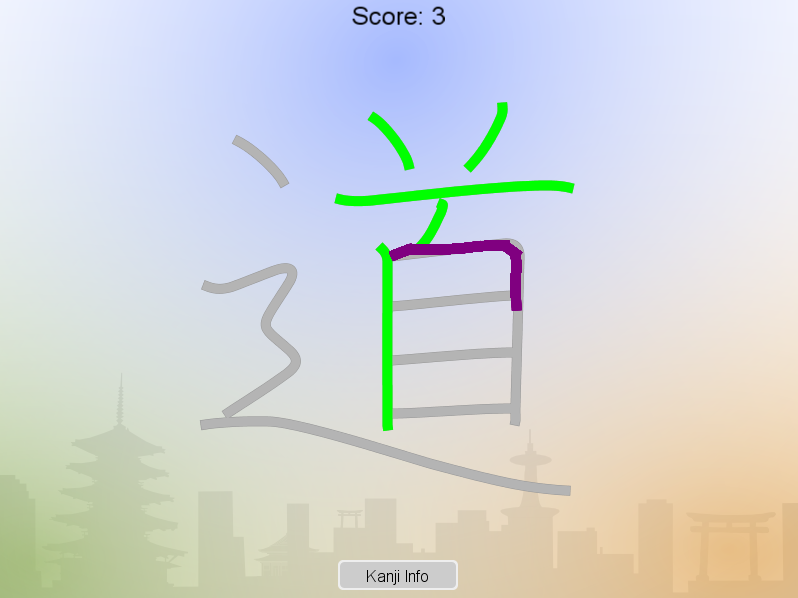 Hitsujun is a single-player educative game which requires the participant to draw1 a randomly selected kanji over its template. The order of the strokes as well as the direction in which each stroke is drawn matter. 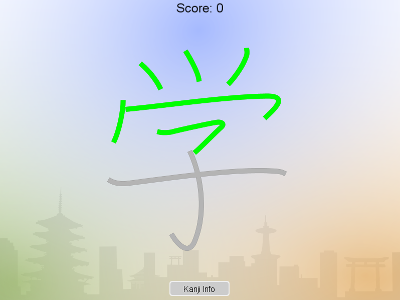 The main purpose is to learn Japanese kanji. 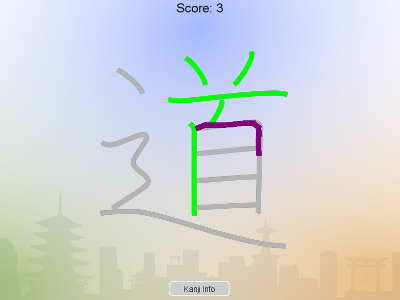 The set of 6,393 kanji2 is partitioned into 5 levels. The levels 1 to 4 pick out their kanji in the JLPT’s list of kanji as defined prior to 20103. 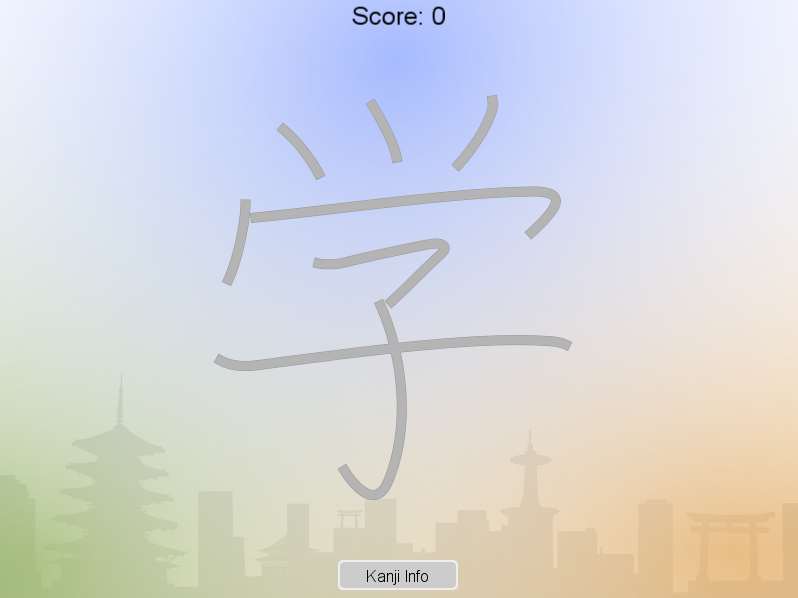 Level 1 chooses in the JLPT N4’s list, level 2 in the JLPT N3’s list and so forth… For each kanji covered by the KanjiVG project, we rely on the KANJIDIC2 dictionary file to determine its JLPT occurrence, if any. 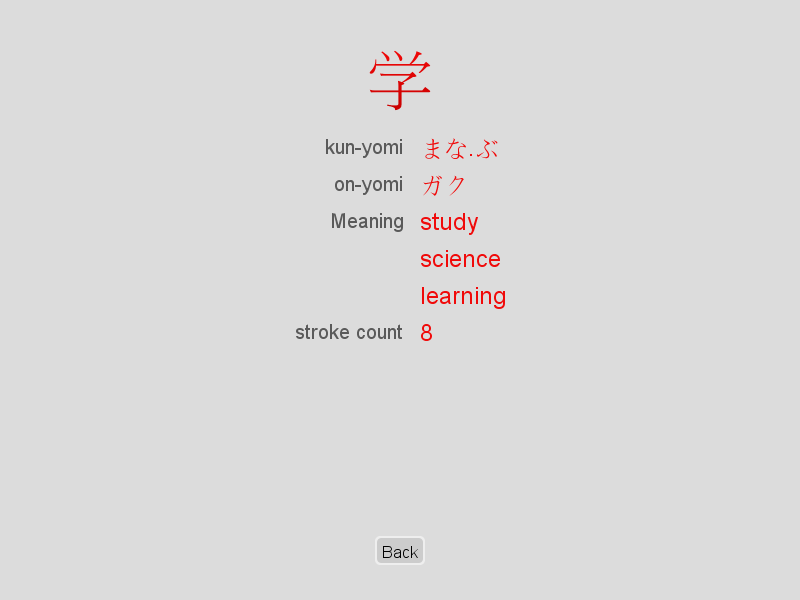 The level 5 uses the list of the 4,163 remaining kanji that are presumably outside the scope of the JLPT. Each kanji comes with some basics information, readings (on-yomi, kun-yomi), definitions and number of strokes. 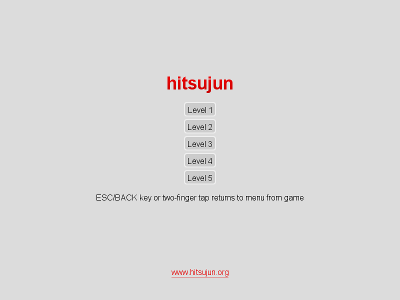 The app is available at www.hitsujun.com. Basically all modern browsers that are reasonably HTML5 compliant should work (such as, e.g., any recent versions of Chrome, Safari, Firefox, Internet Explorer…). 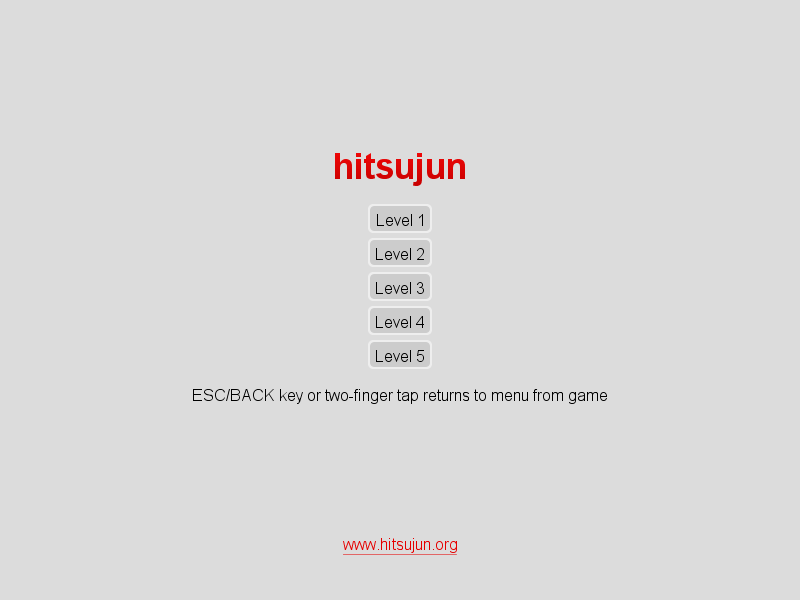 You can get it either on Google Play or on Amazon Appstore. May come… eventually, but hindered by cost related issues… Meanwhile you can use the add to home screen ( ) feature of Safari. The installers (Windows) and the app bundle (Mac OS) are coming with their own embedded JRE; therefore, there is no need to install any additional components (i.e., the JRE 7). This software is currently being actively developed. The current version 1.1, as well as all the anterior versions, may bear imperfections and may lack stability. We encourage the users to carefully read the license, and in particular the point 7. 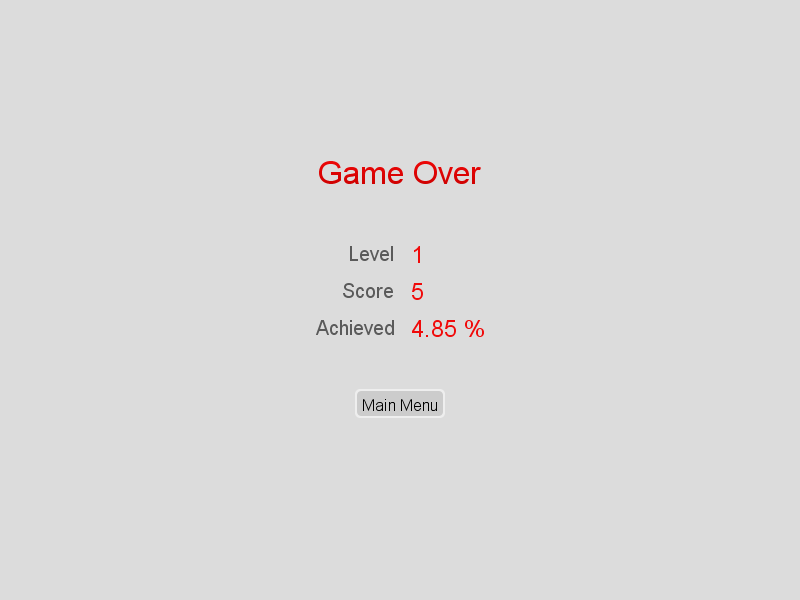 The KanjiVG is copyright Ulrich Apel and released under the Creative Commons Attribution-Share Alike 3.0 license. 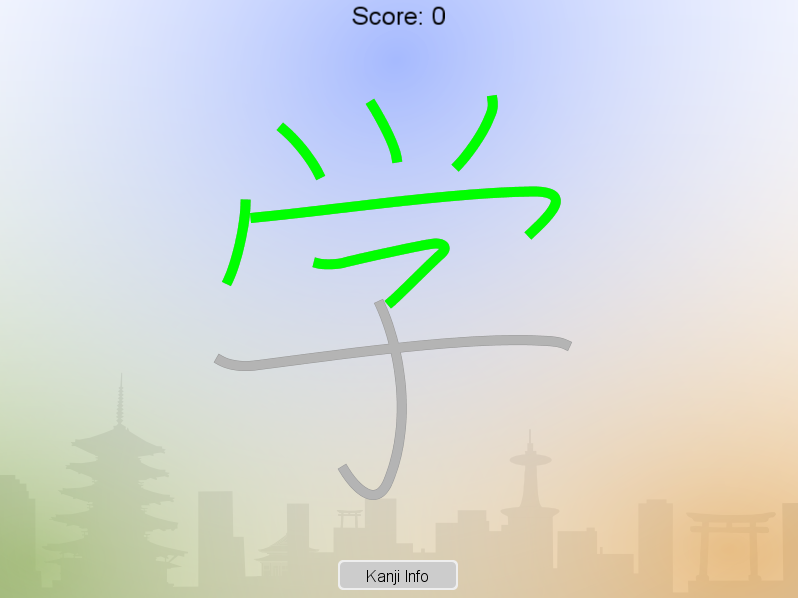 This application relies on the KANJIDIC2 dictionary file, which is the property of the Electronic Dictionary Research and Development Group, and are used in conformance with the Group’s licence.